Did you know that, according to Inc.com, leaders ideate most in the shower, reading, running, and over coffee? Indeed, that lightbulb moment usually comes when you aren’t working so it’s important to understand all the ways Evernote allows you to capture information on the fly. If I am running, I can slow down to dictate a note or take a picture. It’s often said that leaders are readers. Reading great content is one of the best uses of my time, because it allows me to leverage the brightest minds for my organization. Evernote captures key quotes or chapters from ebooks, hardcopy books, magazines, online articles, and more. When it is time to put together the project and strategy to execute, all the information is at my fingertips. Networking is a huge part of what I do as a leader. Each time I meet someone new, I use Evernote to capture contact information. I particularly find Evernote Hello useful for this. There are many, many contact managers in the marketplaces, but how many of them sync/integrate with where you store everything else that’s important? With Evernote, I easily remember people and my interactions with them by capturing business cards, quick notes about our conversation, and more. Typically, when I have a business problem, I reference my contacts in Evernote to see who may be able to assist me. As a leader, there is only so much I can know, so I rely on Evernote to help me find the right people with the right answers at the right time. The days of most leaders are driven by meetings. Evernote supercharges my meetings. In nearly every meeting, there is important information and follow-up tasks that I need to maintain and reference instantly. I track my meeting notes with clients, prospects, and team members. 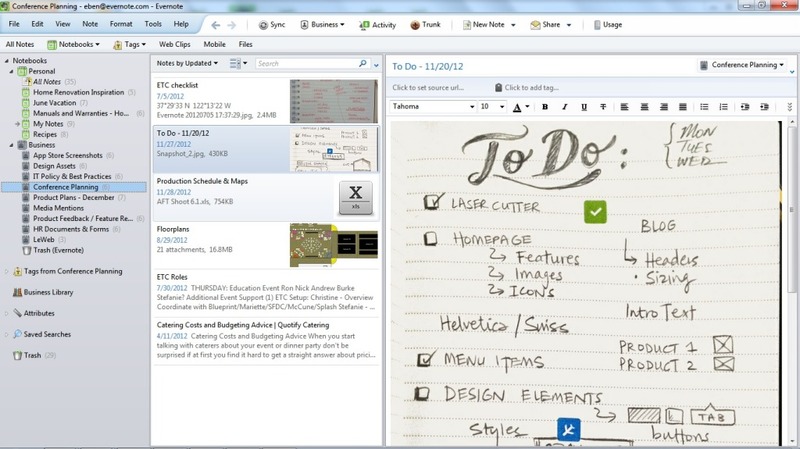 Evernote allows me to add task items, insert pictures, record audio clips, and set reminders. Nowadays, when in a meeting, my Evernote is also open to the last meeting with that contact, client, or partner. With Evernote, I make sure my time is not wasted by overlooking or forgetting critical meeting details. I capture a tremendous amount of information each day using Evernote and I want to make this information work for me. Evernote allows me to quickly and efficiently organize the information so that is helpful to me at some point in the future. Each time I can’t find something quickly, I lose precious minutes. Not only that, Evernote makes all my content, including scanned documents, searchable. Evernote allows me to come up with a system that works for me through flexible use of tagging, notebooks, and search-ability. I can customize Evernote to my workflow, not the other way around. In my experience, great communication is critical to execution. Without effective communication, teams don’t work well. 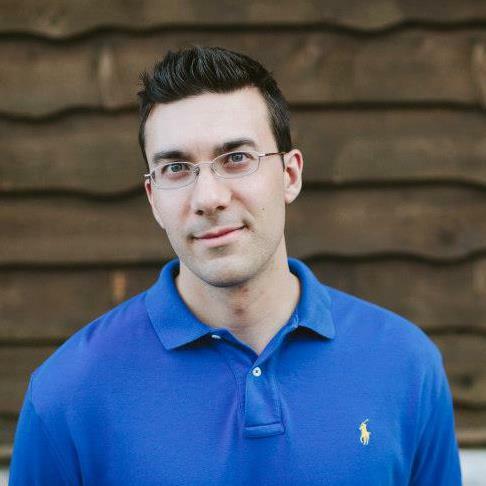 I use Evernote to create highly professional presentations, draft communications for employees and clients using saved templates, and even as a voice recorder while I am driving. I can use “notebook links” to create a table of contents for an ebook, or larger presentation. Evernote is also great for editing, allowing me to provide and receive feedback through its note annotation tools. It’s all seamless and incredibly effective. In short, Evernote has helped me become a better leader through better communication. At any given time, I have several projects in process. I typically use a notebook or series of notebooks for each project. With Evernote, I am able to share projects, share tasks associated with projects, and provide annotated feedback to my team. I am able to collaborate with my team like never before. Because I know everything is captured in Evernote, I have the complete visibility needed to move the project forward. I hope this overview helps you get up to speed faster on Evernote. Stay tuned. In future posts, I will delve more into the details about my workflow for each area: capturing, organizing, and execution. Did you know that Evernote is not just software? 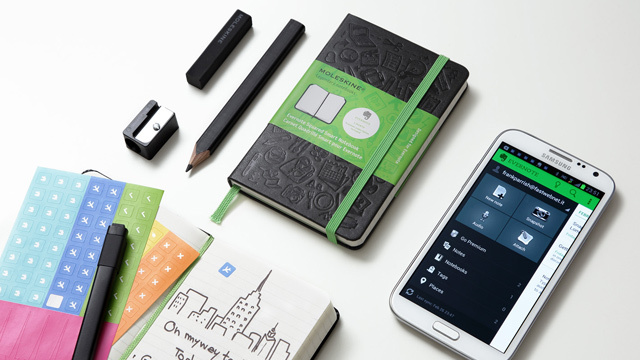 Evernote has custom scanners to help you usher in a new paperless era. It’s simple and effective. 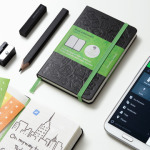 Evernote also has custom Moleskine notebooks with proprietary stickers to help you convert your physical notes. It’s all pretty remarkable. You can learn more at the Evernote Market. I love to talk shop and discuss productivity and organizational tips with my readers. Feel free to communicate with me in the comment section below.